This week’s set of Bundesliga matchups show plenty of promise on the betting front. Read and fire! Last weekend’s Bundesliga results proved that Germany’s top tier is not as predictable as it’s made out to be, after title-contenders Borussia Dortmund and Bayern Munich both failed to come away with victories. The former was held to a goalless draw at Freiburg, while the champions tasted defeat at the hands of Hoffenheim. We’re into round four of the Bundesliga and this week’s set of matchups shows plenty of promise on the betting front. Most teams are still finding their feet, so you can expect a couple more upsets this weekend. Anyway, let’s keep the chatter to a minimum and get down to business. Hannover and Hamburger will open proceedings in what promises to be an entertaining contest. The hosts remain undefeated with two wins and a hard-fought 1-1 draw away to Wolfsburg last time out. Hamburger come into the clash off the back of a 2-0 home defeat against title-chasers Leipzig but prior to that loss, they had won back-to-back games. Both sides will chase the win, making it an open game of football. Get on the Both Teams to Score – Yes – Market at 8/10. Werder Bremen will take on Schalke on Saturday afternoon. Die Werderaner are yet to win a match, scoring just once and conceding four times. However, they showed plenty of promise in round three as they held Hertha Berlin to a 1-1 draw away from home. Schalke have impressed on home soil, claiming two wins on the bounce but it’s away from home where they need to prove. They suffered a 1-0 defeat to Hannover on their last trip and will be desperate to come away with a positive result, especially after last weekend’s 3-1 home victory over Stuttgart. The last four meetings have produced a total of 14 goals and it looks as though we could be in for another cracking clash. The Totals – Over 2.5 goals – market should be backed at 15/20. Stuttgart and Wolfsburg are next up to do battle and it’s expected to go down to the wire. Die Roten fell to a 3-1 defeat at Schalke last time out and will be looking to capitalize on home advantage, while the Wolves have lacked consistency in the opening stages and will know they need to claim as much points as possible when it comes to the newly-promoted sides. The last four meetings between the teams have seen four goals scored in each match. As such, the Totals – Over 2.5 goals – market is too tempting to pass up at 17/20. Bayern Munich will welcome Mainz to the Allianz Arena on Saturday afternoon. 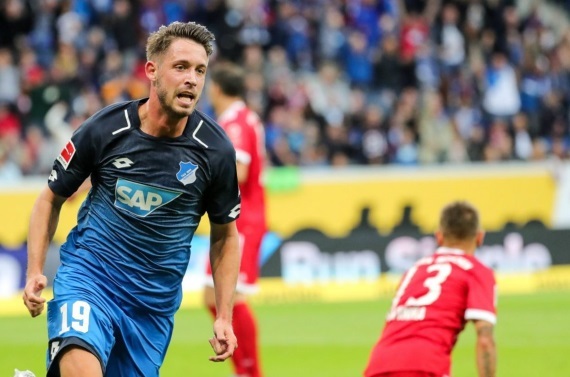 The Bavarians were disappointing in round three as they fell to a shock 2-0 defeat away to Hoffenheim. Nothing less than maximum points will do this weekend for the champions. Mainz come to town off the back of an impressive 3-1 home win over Bayer Leverkusen, but prior to that victory, they had suffered back-to-back losses. It’s an uphill battle for Die Nullfunfer to claim a point, let alone a win. Bayern will be on a rampage and I’m expecting them to Score In Both Halves at 5/10. Eintracht Frankfurt will lock horns with Augsburg at the Commerzbank-Arena in round four. Both sides earned their maiden wins for the 2017/18 season last time out, with Frankfurt claiming a hard-fought 1-0 victory away to Monchengladbach, while Augsburg hammered Cologne 3-0 at home. Both teams will be looking to build on their respective wins, which makes for a cagey but entertaining affair. Neither side conceded a goal last weekend and you can expect another solid defence display from Frankfurt and Augsburg. Under 2.5 Goals is the way to go at 6/10. Saturday’s final matchup pits title-chasers Leipzig up against Monchengladbach. The Red Bulls have bounced back strong from their opening day 2-0 defeat to Schalke with consecutive wins against Freiburg (4-1) and Hamburger (2-0). Monchengladbach, on the other hand, were utterly disappointing last time out, going down 1-0 in front of their own fans to a resilient Eintracht Frankfurt side. It won’t be cut and dry, but Leipzig are tipped to come out on top. Hoffenheim will be buzzing with confidence following their deserved 2-0 win over powerhouses Bayern Munich. Their form has carried over from last season, where they claimed fourth spot and Die Kraichgauer will be looking to build on their terrific start to the campaign with another win. Hertha Berlin ran out of ideas in round three as they were held to a 1-1 draw at home against Werder Bremen. The Old Lady lost 11 of their 17 travels last term and that included a 1-0 defeat to their opponents this weekend. Hoffenheim have won the last three meetings at home against Hertha Berlin and are tipped to build on that. Bayer Levekusen will go toe-to-toe with Freiburg in the penultimate fixture of the round. Die Werkself find themselves second from bottom of the standings, scoring four goals and conceding double that amount. Freiburg are yet to win a match as well but upset the applecart in round three, as they held Dortmund to a goalless draw. If they can show the sort of organisation and stability at the back again, whilst counter-attacking with pace and precision, they might just be able to edge the win here. Back Freiburg to edge it at a healthy 52/10! Last but not least, Dortmund and Cologne will draw a close to round four. The hosts were kept at bay last time out, as they were forced to settle for a scoreless stalemate away to Freiburg. However, you can expect a much better showing in front of the BVB faithful on Sunday evening. Cologne occupy the bottom of the log with three losses from three games, scoring just once and conceding seven times in the process. Back Dortmund to return to winning ways in style – get on the Half-time/Full-time Double Chance win at 7/10.